I want to preface this post by saying that I am in no way comparing my infertility experience with anyone else’s. I definitely know how blessed we are to have our children and have two pregnancies without experiencing infertility. I have watched, first hand, friends and family who have struggled with infertility for too many years. I have watched the emotional, mental and physical toll it has taken on each of them, and although my heart breaks for them, I do not know what that must feel like. 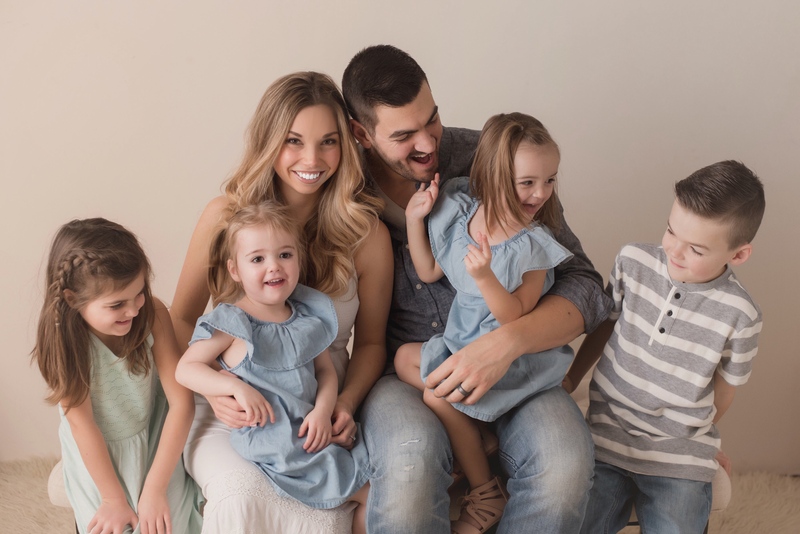 After conceiving our first two children by a little planning, sprinkled by a bit of bad math, it came as a shock to my husband, Mike and I when we experienced secondary infertility and two early miscarriages, when we tried for our third child. Rewind almost four years from today. I had been taking a much-needed break from being pregnant. 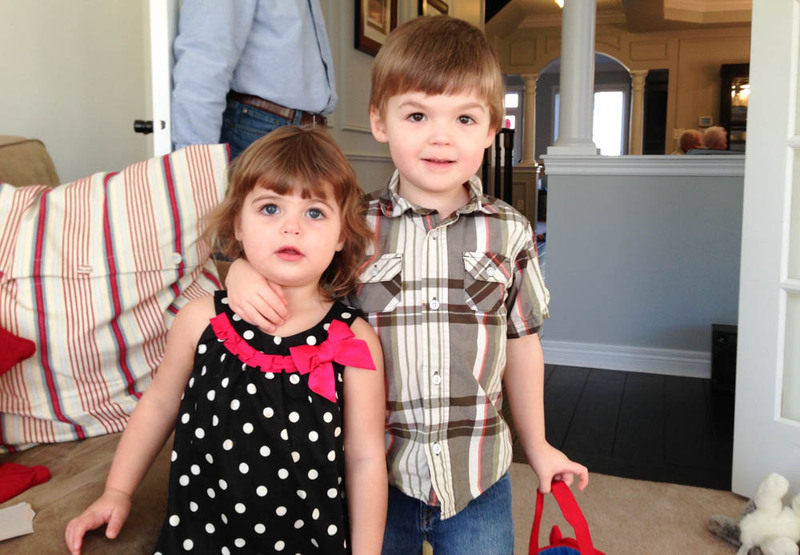 We had a beautiful boy and a beautiful little girl, just 20 months apart. Although I was starting to feel like we were emerging from the darkness, we had been through a lot of stress during our first three years as parents going through a language delay with our son. We had always planned on having more than two kids, but at that point, I wasn’t sure. So instead of throwing in the towel, Mike convinced me to take a break and see. After a couple months I knew our family wasn’t complete. It was January 2013. We made plans, and figured, based on our past experience of getting pregnant quickly, we’d be able to set a date and stick to it. Little did I know that I was very wrong. That first month I did get pregnant. We were over the moon. In typical fashion, I took daily home pregnancy tests at the beginning, and although the second pink line was slightly on the lighter side, we decided to tell our immediate family and kids. It was February 2013. I can remember clearly, Mike and I walking through the mall and debating if we should buy shirts for our kids that said “big brother” and “big sister” to wear to our families’ homes to surprise them. In the end we didn’t and just blurted out the news. Everyone was so excited, and we all celebrated. I was five weeks pregnant. The next day, I took another test. The second line was even lighter. Something wasn’t right. Usually by this point the second line would be getting darker. It was in that moment that I knew what was happening. I told Mike about the ominous light line, and confided in him that I was experiencing cramps. Mike was optimistic and held out hope. But the next day, it happened. I began the day with light spotting, and told Mike with almost 100% certainty, that I was going to miscarry that day. Again, he was optimistic as he left for work. I dropped our kids off at daycare and left for work at an interior design firm. Within an hour of arriving at work, I was hit with intense cramps, mostly localized to one side and I began to bleed. I made up an excuse about stomach pains and left and drove myself to the hospital. I know that the hospital probably wasn’t necessary, but I had a friend who had recently had surgery for an ectopic pregnancy, and I couldn’t get the thought out of my mind. I called Mike on my way, crying. Then I called my parents, (who were away), and also my mother-in-law. She and Mike met me at the hospital, and we waited, again, them full of optimism, and me without a doubt in my mind, I was losing this baby. After many tests it was confirmed. I had definitely been pregnant, I was miscarrying, and it was not an ectopic pregnancy. The three of us sat in the private room of the hospital and held each other and cried. We were heartbroken. The doctor said all of the right things, including telling me she had three kids, but has been pregnant five times and how common miscarriages are. This did make me feel better. The hardest part was telling our kids. They were two, and almost four at the time. They didn’t really understand. In fact, they seemed to forget and still talk about the new baby for the next few months. Mike and I went back to trying, and month after month I convinced myself I was pregnant, but I wasn’t. This constant unknown and disappointment really began messing with my head. I felt like I was in limbo. Stuck. It was during this time that I made the decision to leave a very stressful job situation and begin my own business. Although the relief of finally working for myself was exactly what I needed, I contribute a lot of the fertility obstacles I was having to the stress from being in a toxic work environment. Months continued to roll by and by September 2013, another second faint line showed up on a pregnancy test. Mike and I stayed extremely tight-lipped about this pregnancy. Sure enough as the days went by that second line faded to nothing. By this point we were a lot less optimistic and had closed off our hearts, shielding us from more heartbreak. We quietly mourned again together and then moved on. It was November 2013 when we decided to reach out for help. We went to a fertility clinic and met with a fertility doctor. He reviewed our history and my case. Although he felt that there was nothing wrong, I was just a bit older and had been through a lot of stress, he still recommended that we explore what was going on. We were instructed to relax and have fun for the remainder of the month, and once I was in my next cycle, they would start to investigate. So we did. Note: I did not take any fertility medication, or have any procedures done. There was something about handing our problem to someone else that took a huge weight off of my shoulders. It wasn’t in my hands anymore and that felt great. We went on wine tours with friends and enjoyed life finally. In early December 2013, I was just getting over a stomach flu, when I felt it come back for round two. Then my period was late. Could I be pregnant? Although I was told not to take at-home pregnancy tests, and wait to be tested at the fertility clinic, I did anyways. A second dark pink line. I was definitely pregnant. My pregnancy was confirmed three more times that week at the clinic with blood tests. I was five weeks pregnant, and everything was progressing, as it should. We started to tell my family, and a select few friends, but made the decision to wait until my seven week ultrasound to tell our kids and Mike’s parents, especially because it was set for December 23rd. What a great Christmas gift that would be. Leading up to my ultrasound, something didn’t feel right. Only this time I didn’t feel like I was losing the baby, instead I felt very pregnant. Compared to my previous pregnancies, I was so sick. I would bring up the idea of multiples to Mike, but then he and I would logically dismiss the idea, knowing that nothing unusual showed up during my five-week blood tests. So, on December 23rd, I left Mike at home with our kids while I went for my seven-week ultrasound. After getting a little nervous that there wasn’t a heartbeat because my ultrasound technician was so tight lipped, the nurse after informed me that I was having twins. Twins!!!! Arriving home, I couldn’t get the words out to Mike. I just held two fingers up, while laughing and crying at the same time. It took a little convincing that I wasn’t trying to trick him, and in fact, we were expecting two babies. It was very fun telling our kids, and then family over Christmas. I always loved the shock on people’s faces. Priceless. Looking back on our journey of secondary infertility, I feel like it was meant to be all along. The long wait helped me prepare for two, and I feel I have gained empathy for the family and friends who have walked the difficult journey of infertility. I really appreciate you writing the opening paragraph. I read a comment on an infertility forum by a woman who has two kids and is struggling to conceive a third. It struck a nerve with many people with primary infertility that she said her pain was as great as those of primary infertiles. I think it’s fine for people to complain about secondary infertility to primary infertiles, but it really hurts primary infertiles when their pain is portrayed as the same. It happens so often online that some primary infertiles have become hostile toward secondary infertiles, particularly those with more than one child. A paragraph like yours acknowledging that they’re not the same goes a long way.